Experience the Upscale Resort Community of Wailea on the Stunning South Shore . . . Featuring Miles of White-Sandy Beaches Framed by Swaying Coco Palms as the Gentle Trade Winds Caress your Senses . . . at the Beautiful Ekolew Resort. Relax in Comfort & Style from the Privacy of your Own Double-Sized Lanai Featuring Breathtaking Oceanviews in a Magical Setting of Lush Grounds & Gardens. 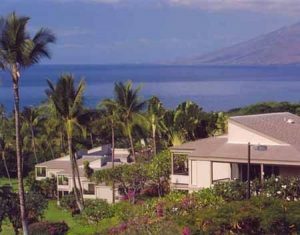 Framed by the Outer Islands of Lanai & Molokai, your Maui Vacation Getaway Features your Choice of Deluxe 1-Bedroom Maui Condo Rentals or Spacious 2-Bedroom/2-Bath Maui Condos. Showcasing a Stunning Contemporary Hawaii Decor. You’ll savor the Stunning Oceanviews while Lounging in Tropical Splendor from your Maui Condo Rental . . . As the Magical Scent of Plumeria Permeates the air and the Whales Frolic Offshore! 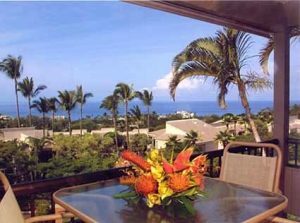 Additional Appointments of your Maui Condo Rental in Prestigious Wailea Features Fully-equipped Kitchens with Micro’s and Dishwashers, In-Suite Washer/Dryers, DVD Players, Internet Access and A/C. 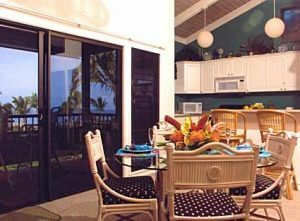 Sip your Favorite Tropical Drink whiles Enjoying another Breathtaking Sunset your Private Lanai . . . Truly Paradise Found! For your Added Vacation Pleasure, Enjoy a refreshing swim in our two (2) Solar-heated pools, stroll through the Lush Tropical Grounds & Gardens or simply relax in our recreation pavilion. The Crystal Clear Blue Pacific and Stunning Beaches are Just Moments away & will beckon you call. For the Sports Enthusiast, there are five (5) adjacent Championship Golf Courses and Superb Tennis. Welcome to the Ideal South Shore Maui Vacation Condo Getaway in Stunning Wailea. . . . In a Gorgeous Tropical Setting Featuring Breathtaking Oceanviews and Lush Grounds & Gardens . . . A Vacation Resort Destination in a Class of its’ own . . . at the Deluxe Ekolew Resort. 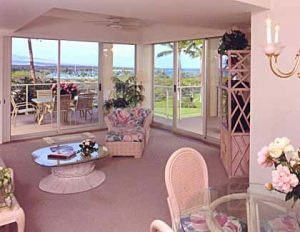 Your South Shore Maui Vacation Condo Rental in Prestigious Wailea Features your Choice of Beautifully Appointed l-Bedroom Maui condo Rentals that Sleep 4 Guests; Or Spacious 2-Bedroom/2-Bath Maui Condos that accommodate 6. All Linens & Towels provided. Short Stroll to Five (5) Stunning Beaches!